So you want to know what’s the best website traffic tool in 2017? Well, I’m gonna give that to Sumo. In short, it’s a free tool that will automate your website growth. Yes, that’s right, there is a way that can help you grow your website traffic completely free! Best things yet, there’s absolutely no coding required and you can do it directly on your website! For those whom I have helped with your WordPress website design, please take some to install it through this link, and follow this article properly or watch my YouTube video below for how I have installed Sumo on my website. How Is Sumo The Best Website Traffic Tool? I’ll explain each function in detail as we go on. So you have built your website and installed Google Analytics (if you haven’t, please go to my previous blog “How To Install Google Analytics In WordPress Websites & Start Tracking Your Traffic” to install Google Analytics on your website). Then you noticed there haven’t been any new visitors and the regular viewers are not converting into buying customers at all. Either way, you need to change your tactic, like RIGHT NOW! Sumo comes and saves the day!!! 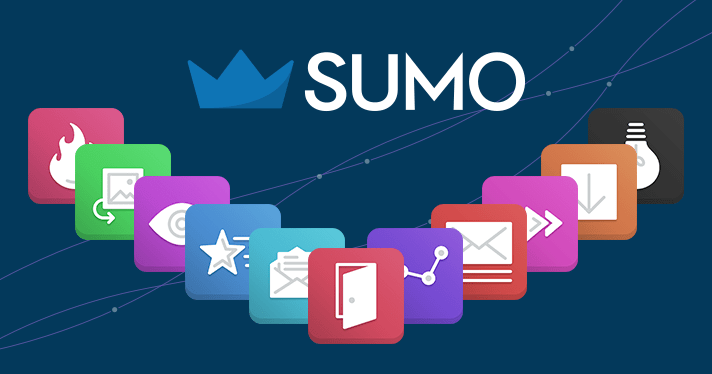 Sumo helps you make email capturing a walk in the park. 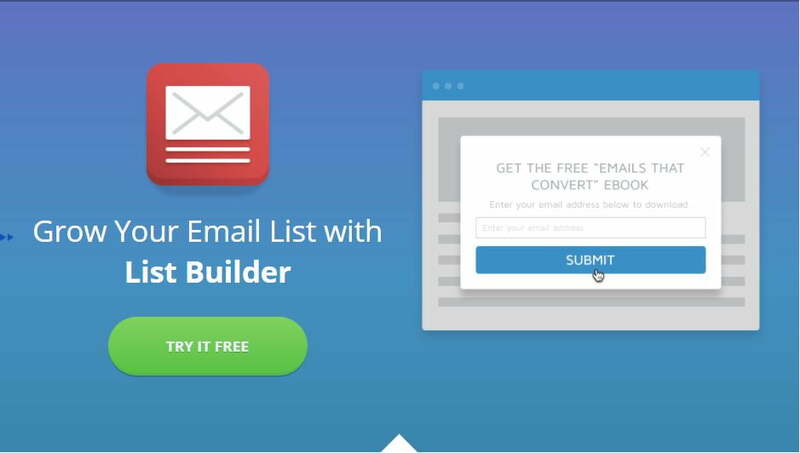 Within its List Builder app, it can create several amazing effects like a Pop-up Box, Welcome Mat, Scroll Box, and a Smart Bar. 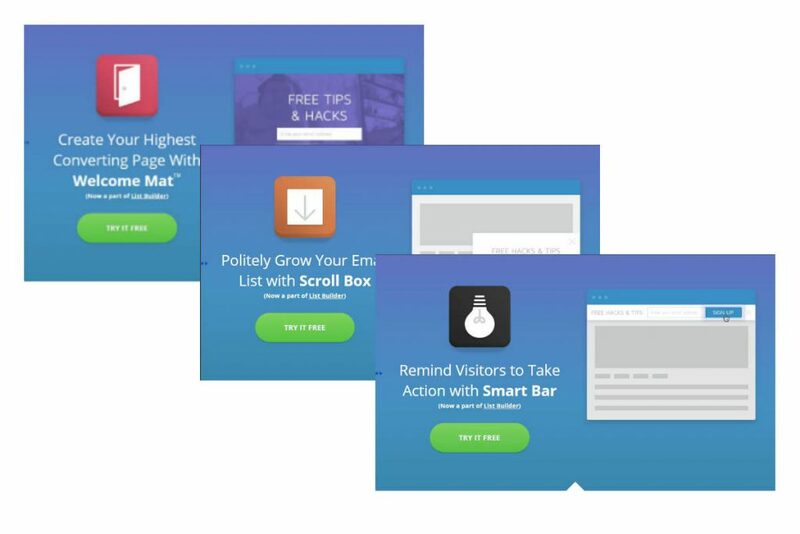 With regular pop-ups in Sumo’s free plan, you can time your pop-up box to show your visitors at a specific time. Or, you can get Sumo Pro and turn on Smart Mode in List Builder and show a pop-up at precisely the moment a visitor leaves your site. You can also customize the pop-up box to match your branding by changing the color of the background, button, text, and typography. 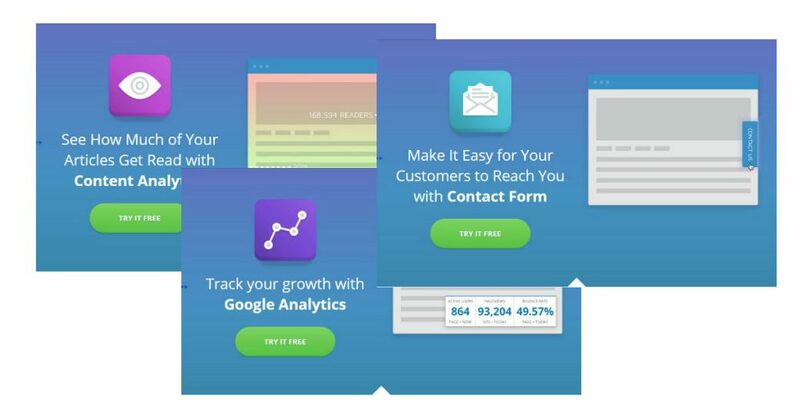 Or, just use Sumo Pro and use the pre-made template that the Sumo Team led by Noah Kagan and just focus on writing your attractive headline and description of the pop-up box. What’s the number one way that gets your content spread out to your visitors’ friends and family? That’s correct! Through social media!! Sumo makes it stupid-easy with its built-in Share app to make social media sharing so much easier. Your visitors can simply use the built-in social media buttons on your site to share your contents and attract more viral traffic. 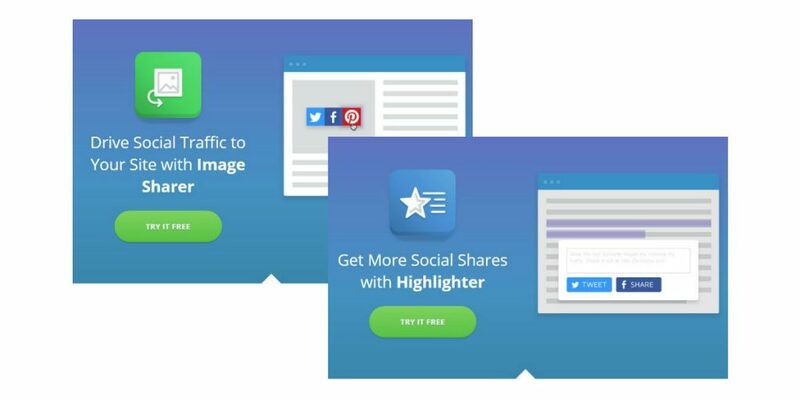 The extension of the Share app is the Highlighter, which can help you highlight a section of your articles to share with your visitors’ friends, coworkers, and family. Any parts of your contents can be highlighted easily by your visitors and then share any part of your articles. Another extension of the Share app is the Image Sharer, which makes it super easy for your visitors to share your images on their Facebook, Twitter and Pinterest. Go viral for your images! Have you ever wondered where your visitors are taking actions (clicking their mouse)? Can you imagine having an eagle eye literally watching over your clients’ actions? 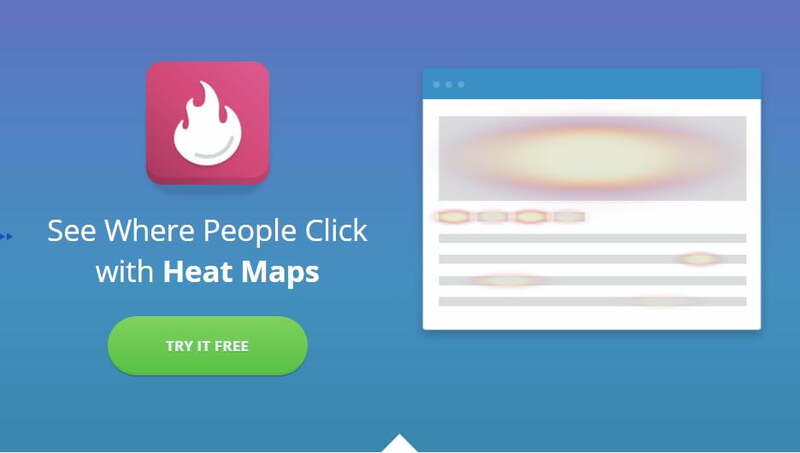 Heat Maps is by far the coolest function of Sumo because once you are able to know the exact area your visitors are clicking, you will be able to place your call-to-action buttons to the more visible area to get more clicks. We also like to write blog posts (at least some of us), but how would you know if visitors are reading and how much of your page have they read? This is when you can use Content Analytics, which you can see exactly at which part of the page your visitors have stopped reading your writings. You remember that I talked about installing Google Analytics on your website from my last post How to Install Google Analytics In WordPress Website & Start Tracking Your Traffic? It may be annoying for some business owners to open additional tab on chrome browser just to see their analytics data. Sumo’s Google Analytics dashboard allows you to view it directly on your website without leaving the site. Lastly, if you haven’t created your contact page, then try using Sumo’s Contact Form and let your visitors tell you exactly whey they aren’t subscribing to your email. Isn’t it obvious that Sumo’s The Best Website Traffic Tool now? So Why Is Sumo Different Than Others? 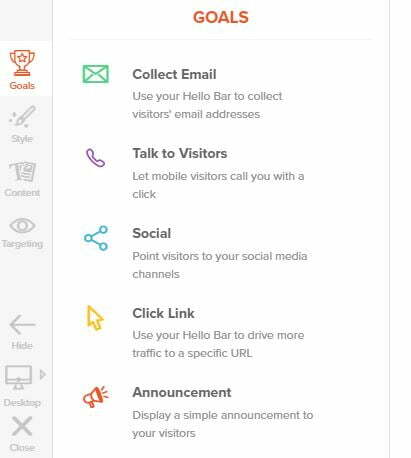 Let’s just compare Sumo with Hello Bar, which is developed by Neil Patel‘s team. Both of tools are quite useful in collecting emails from your website visitors. Either of them can create different styles of pop-ups, scroll box, top bars, even page takeovers. Now those are the similarity between Sumo and Hello Bar. Let’s talk about some limitations about the latter one. Hello Bar can only do the above properly. It cannot help you make your images go viral because there’s no Image Sharer like Sumo does. In addition, Hello Bar cannot help you analyze your website traffic with tools like Content Analytics and Heat Maps. So in this round here, Sumo wins the Best Website Traffic Tool contest! Without upgrading to the Pro version, you will not be able to create click to trigger pop-up box. Now it’s not a big deal for most regular users like most of us. However, it will be quite difficult for us online marketers that need to make a double opt-in page that has a click-to-pop box. Anyways, that’s really minor compared to many other benefits. Having an awesome tool to help you attract more client is really fun. Especially when this tool is being embraced by Pay Flynn from Smart Passive Income and Tommy Griffith from Clickminded. 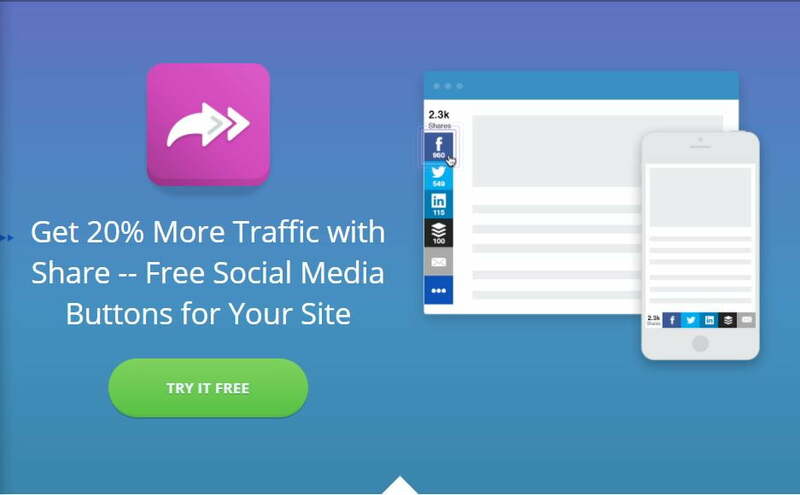 Being the Best Website Traffic Tool, Sumo is really useful in its free version. In many cases, feel free to leave any comments if you have any questions. You can also follow my Facebook Group and Facebook Page. Try it out yourself and see how Sumo works for you and let me know! First of all, thank you for asking me for my opinion. I would strongly suggest you check out my start here page, where I place everything that I know how to start building a blog here. So if you follow it directly, you can make a nice blog! I also have a paid course that teaches everything about setting up a successful blog. If you’re interested, please leave me your email so I can send you a preview of it.